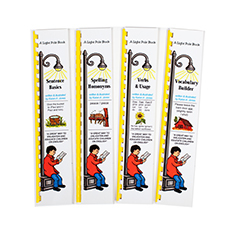 Looking for eye-appealing children’s books that provide an easy & fun way to learn English? 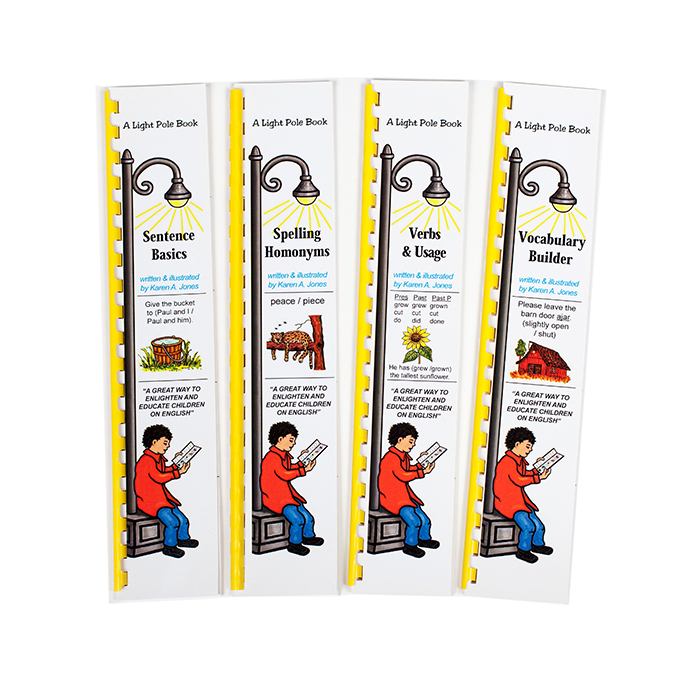 For ages 7 & up, the four self-teaching books entitled Sentence Basics, Spelling Homonyms, Vocabulary Builder, and Verbs & Usage contain 296 lessons that are broken down into small portions with a color graphic for each lesson. Say the answer & turn the page to check it. 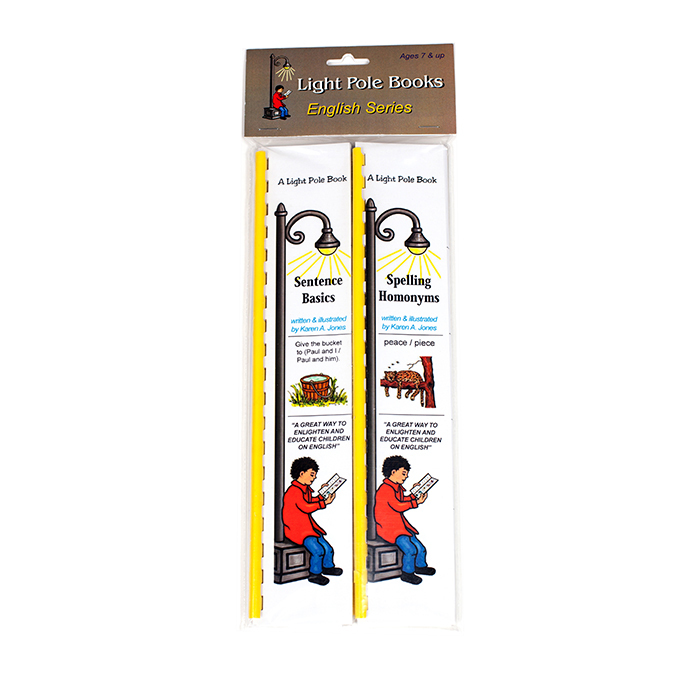 Sentence Basics covers sentence types, phrases, punctuation, parts of speech, singular & plural, possessives, syllables, prefix & suffix, & more. Learn over 150 homonym spellings & definitions in Spelling Homonyms. Increase your writing skills by using Vocabulary Builder. In Verbs & Usage you’ll learn about verb tenses, kinds of verbs, subject-verb agreement, & the correct usage of verbs in a sentence. 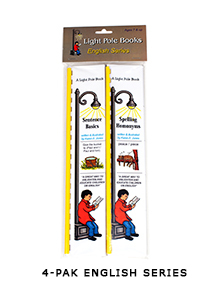 This series is ideal for children & adults, parents, tutoring, school curriculum, review, & traveling.